After taking a 3 week vacation to my homeland (Macedonia), and another 2 weeks to get back to normal, here I am. This was my first visit after being away for 18 years. 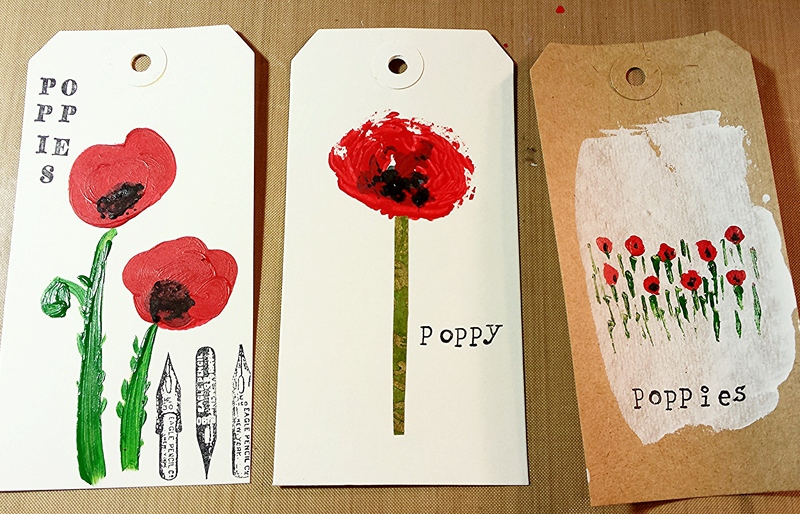 The things that left the most impression, are the very same things that always came to mind when I thought of the times I used the live there: poppies. And this weekend I finally got some time to give my hands a try to paint. I kept it small, it was easier, and made tags. 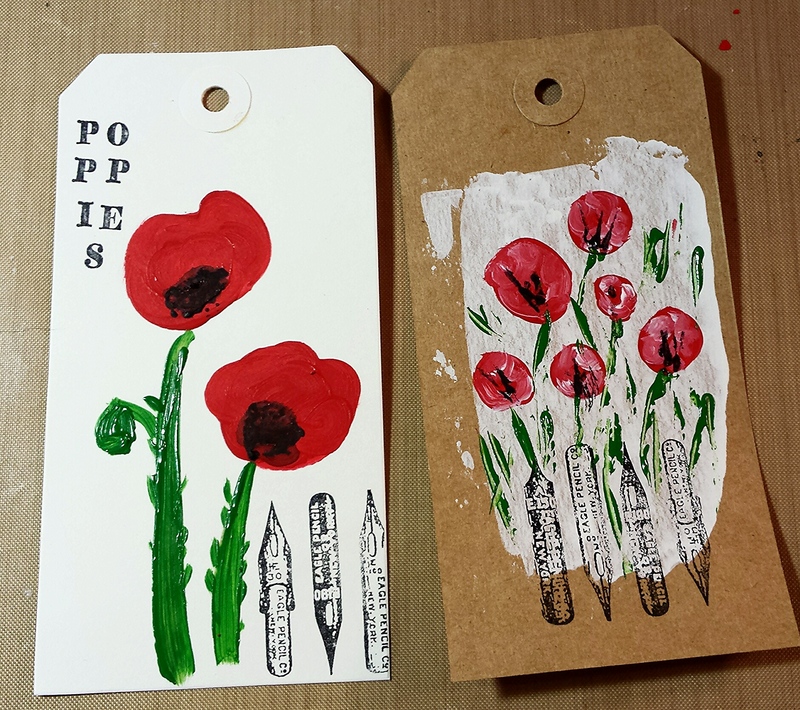 Red poppy tags.